We have Thousands of shipping boxes from $0.30 / box with NO MINIMUM PURCHASE REQUIRED. **Subject to Availability. Certain limitations may apply. Call for details. Cheap ways to ship your stuff! We've all been there. You've sold something on eBay and you now realize that you didn't charge nearly enough on shipping. Of course, after you've went the "Brown" way and were quoted a very high price on boxes. There is no way you could have thought that BOXES and supplies would cost soo much! You've now got a place to go where you won't get ripped! Come to Georgia Green Box for all your shipping supply needs and we'll find your box. 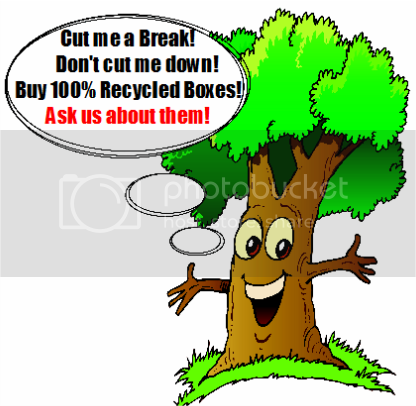 We encourage you to bring your item(s) in and try some boxes out! Ditch the costly "Brown", and go with the Green! Click Here for Store Locations! Buy local and Save Money on shipping! What makes Georgia Green Box unique is that you can actually buy exactly what you need, when you need it. The old ways of buying boxes in bulk from the online companies and having them shipped to you at a very high cost are over. You can now keep more of your money in your online or local business and don't need to fill your basement, attic, or garage with boxes to ship with. Buy what you need, when you need it with us at Georgia Green Box. See our packing accessories here!